Migraine headaches affect more women than men and about 15% of people at some point in their lives. These headaches are pulsating and often on one side of the head. They affect people for 2-72 hours and also often come with sensitivity to light or sound, nausea and vomiting. Some people also get what is known as an ‘aura’ which is visual or sound disturbances before the headache occurs. f some of these factors are ringing some bells with you, then the chances are you know that you have migraine headaches already. If you are uncertain however, please book an assessment to find out. 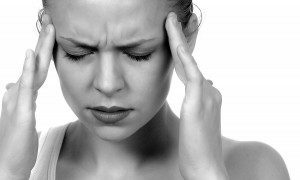 Can Chiropractic Help With Migraine Headaches? There is a lot of evidence for chiropractic improving migraine headaches (click here for an example). Chiropractors use subtle adjustments of the neck and head, as well as soft tissue techniques to reduce the tension in the neck and head. Lifestyle changes, nutritional supplements and medications can also help prevent migraine attacks. In extreme cases, surgery is also an option, but as always, this should be a last resort. Migraines can be debilitating and painful, but there are many things you can do to prevent them from happening as often. Amongst other things, chiropractic can be very helpful. Book your appointment now for a treatment.